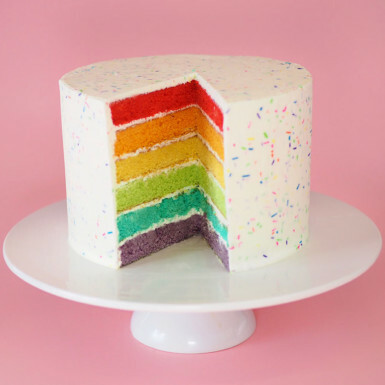 This colorful cake is one of the most delicious delights to make any day a special moment. The cake is prepared by using the finest quality of ingredients and proper hygiene is taken while making the cake. It is a perfect cake for occasions like birthday, anniversary, mother’s day, anniversaries, baby shower and many other occasions. Surprise your loved ones by sending this mouth-watering cake on their special occasions. Eggless cake is also available and for this you have to click on checkbox button. You can also customize your cake according to your choice. Extra charges will be charged for the changes.